The notebook comes with 13.9 inch display with 92% screen to body ration. It uses a low power consuming LTPS touch-screen with 3000 x 2000 px resolution, which offers 20 pixels per inch. The display supports 100% sRGB colour gamut with a maximum brightness of 450 nits and 1500:1 contrast ratio.The display is protected by Corning Gorilla Glass for smooth and responsive multi-touch screen experience. The notebook runs on Windows 10 operating system with Windows Hello support. The Huawei MateBook X Pro comes with the latest Intel 8th generation Intel Core i7 chipset with NVIDIA GeForce MX150 mobile GPU. It offers perfect diamond cut edges with sandblast finish for a more uniform finish. The notebook is one of the lightest in its category, which weights at just 1.33 KG. Compared to the 13.3-inch Apple MacBook Pro, the Huawei MateBook X Pro is 50% thinner with similar hardware capabilities. Keeping this thin, the notebook also ships with a full sized USB 3.0 port, two USB type C ports and a 3.5 mm headphone jack. The USB type C port does support Thunderbolts 3, which can drive an external display with up to 4K resolution. The port can also support external GPU like the NVIDIA GTX1080. The company has re-engineered the cooling system on the Huawei MateBook X Pro, which now comes with passive and active mode with temperature detection fans control. It uses the custom Huawei shark fin fan design, which offers up to 20% more efficient. The Quad speaker setup on the notebook comes with the clear treble tweeter and rich base subwoofer, which offers truly immersive surround sound. The sound profile has been fine-tuned by Dolby Atmos. It has a built-in 4 microphone solution, which offers 360-degree listening without any distortions. The Huawei MateBook X Pro comes with all-day battery life. Which means, the device can offer up to 15 hours of web browsing, or 14 hours of office work or 12 hours of video playback on a single charge. Traditionally notebooks use keypad authentication. However, Huawei MateBook X Pro comes with iris scanner + fingerprint scanner + keyboard. A user can use any one of these features to login into the notebook. 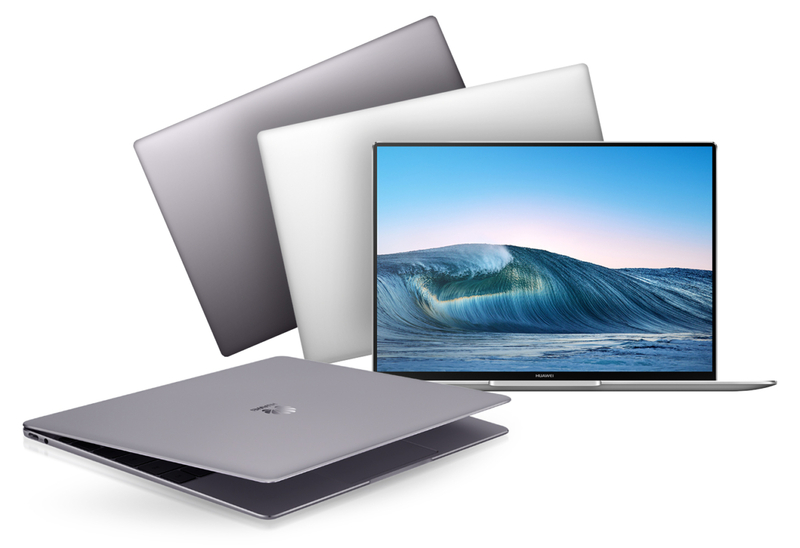 Like the Apple MacBook Pro, the Huawei MateBook X Pro comes with the one-touch power button, which also doubles as a fingerprint scanner.The notebooks’ keypad is spill proof, which saves the device from the accidental coffee or water spills. The Huawei MateBook X Pro has the largest trackpad on any notebooks under 14 inch display. The Huawei Matebook X Pro starts at a price of EUR 1499 and goes up to EUR 1899. It will be available in China, US, Saudi Arabia,Gemany, Spain, Italy, Nordic in Q2 of 2018.